A common interest in schoolchildren's reading and comprehension skills has University of Oregon and Florida State University educators working together as a team they jokingly refer to as "the flunatics." 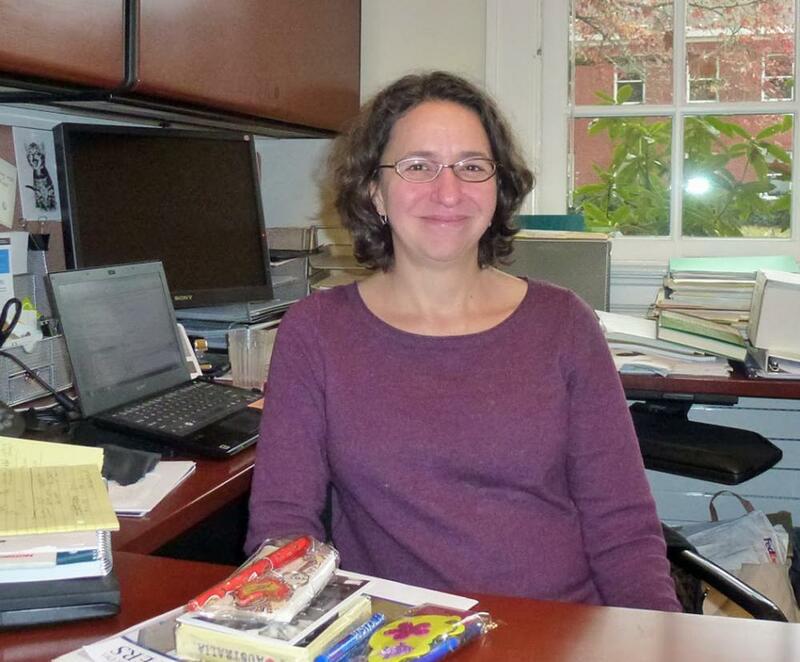 The group grew gradually, meeting at conferences and online webinars, and became a fluency interest group, said Gina Biancarosa of the UO's Center on Teaching & Learning and an associate professor in the College of Education. Biancarosa said she founded the group about five years ago at the urging of Yaacov Petscher, director of the Florida Center for Reading Research at FSU. The idea was to foster collaboration on reading fluency. "I started the group, with his prodding, because, as we liked to put it, we were 'flunatics' — fluency lunatics — and statistics geeks," said Biancarosa, who grew up in Florida. "With such parallel lines of study, we thought, why not use each other as sounding boards. More seriously, we had a common interest in the measurement of oral reading fluency and fluency in reading component skills, like letter naming or word reading, and in advanced statistical methods." Among the members are FSU's Petscher, Young-Suk Kim, Sara Hart and Deborah Reed and the UO's Biancarosa, Kelli Cummings, Hank Fien, Mike Stoolmiller, Patrick Kennedy, Joseph Nese and Akihito Kamata. "Who are the flunatics? We are reading researchers who concern ourselves — perhaps too much — with the questions and issues surrounding student reading competence and the measurement of those skills," said Cummings, who left the UO in the fall for the University of Maryland. "We've been researching the fidelity with which reading assessments are administered and scored and the impact of that on instructional decision-making," said FSU's Reed. "Our partnership began on a conference call that Gina arranged for researchers at various universities who were interested in reading fluency." The collaboration has led to numerous journal papers. Coming in January is a special issue on "New Metrics, Measures, and Uses for Fluency Data," edited by Cummings and Biancarosa in the journal Reading and Writing. In March 2013, Petscher, Cummings, Biancarosa and Fien were editors on the journal's special issue on "Measurement Issues in the Assessment of Reading Fluency." A book co-edited by Cummings and Petscher is coming soon. Group members anticipate good-natured chatter about the Rose Bowl. "I love college football," Cummings said. "I am a native Oregonian." She also holds a degree from Oregon State University and admits to having been a Beavers fan in a family with at least one Ducks supporter. These days, she said, "I'm a Ducks fan." "I consider my UO colleagues as good friends and think they are a bit more passionate about their Ducks than I am about the Seminoles," said FSU's Reed, who noted that the UO group left a conference dinner on Oct. 2 to find a place showing the Ducks game against Arizona. "They were properly decked out in their green and still showed up to our session the next day." Team member Kamata is going to the Rose Bowl as a Ducks fan, even though he left the UO in 2013 for Southern Methodist University. Having been on FSU's faculty for 11 years before joining the UO in 2009, his allegiances could have been torn. But family trumps all. Kamata’s daughter Hana is an undergraduate in the Clark Honors College focusing on human physiology — and she’s a member of the Oregon Marching Band.